Source: DOC and Greater Wellington Regional Council, 2018. Chances of getting a job as a ranger are average due to increasing job numbers but high competition for positions. Pay for rangers varies depending on experience, qualifications and the type of work they do. Entry-level rangers at the Department of Conservation (DOC) usually start on about $38,000 to $47,000 a year. Entry-level park or maintenance rangers in local or regional government parks usually start on about $43,000 and $51,000. Experienced DOC rangers usually earn between $47,000 and $65,000. Park rangers with three or more years' experience usually earn between $55,000 and $88,000. Senior DOC rangers or supervisors with more responsibilities can earn from $56,000 to $89,000 a year. Sources: Department of Conservation, 2018; and Greater Wellington Regional Council, 2018.
support and monitor concession holders and property licence holders such as graziers. building and track maintenance skills. may have to travel to attend meetings or spend days away from home working in remote areas. "I think when you say park ranger a lot of people just think of someone maybe in DOC that's looking after a wilderness environment. We're on this urban fringe, near Wellington, and the issues are a lot different. We're dealing with the public a lot more. We've got so many neighbours. Being out in the wilderness you've got no neighbours. You're maintaining tracks and biodiversity, but here we're got a bit of everything." "Being a park ranger is being the face of the place, being able to answer questions and being out there and talking to people when you're out and about. That's more of a thing with park rangers than anything." What's an average week like for you? "Most days I'll go to Dry Creek and check the camping area. That's the toilets, make sure they're clean, toilet paper is stocked up, pick up any rubbish. Then during the start of the month it's inspections and ranger reports. My week can start off completely free and then each day something else happens. I suppose our work is fairly reactionary. Being in the park ranger roles, if something needs to be fixed, we'll have to problem solve and get it fixed." Kia ora. I'm Matiu Mataira. I work for the Department of Conservation as a Partnerships Ranger based out of the Whangarei Office. I guess I've always had a sweet spot for the great outdoors. I love my hunting, I love getting out into the bush, and just love meeting people within our ngahere really. I joined the Department 5 years ago now, as a Maori cadet. It was quite a unique program where a lot of our learnings was based on the marae noho, so we learned both the Maori world view of how of they look after conservation, and also our Western science and joining the two together - the best of both worlds. My typical work day involves a lot of meetings. I meet a lot of new people, particularly with iwi, hapu and whanau, but also with a lot with our community groups, and businesses as well. Really it's based around listening to what their aspirations are and how we can both support each other. I like the variety within the Department. One day I can be out on the island, the next day I can be on an international fire deployment. I think the best thing I like about my mahi is the actual people involved in it. Particularly within the Department we have a lot of knowledgeable people based here. We have a lot of very passionate and dedicated people. But also meeting new people as well. Working alongside community groups, iwi, hapu, whanau, and also with businesses as well. What's the best story you've been able to tell after a day at work? I guess the best story so far has been sitting with the nannies and the koros in the marae, listening to their stories around the old ways on how they used to culturally harvest kiwi and kūkupa, and one of the nannies turning around and going "Kia ora boy. Who do you work for? ", and my reply "I work for the Department of Conservation, nanny", and just the look on their faces when they heard that - priceless. What's your advice for people wanting to work for DOC? I guess my advice for people wanting to work for the Department is come down and meet your local rangers; come in and get involved – volunteer work; bring a bit of enthusiasm, passion; visit our careers website; and just enjoy the ride. There are no specific entry requirements to become a ranger. However, a New Zealand Certificate in Conservation (Operations) (Level 4) is useful. A relevant Bachelor of Science degree may also be useful. Tertiary students can major in parks and outdoor recreation at Lincoln University. There are no specific secondary education requirements to become a ranger. However, te reo Māori, biology, construction and mechanical technologies, geography, agricultural and horticultural science, and physical education are useful. You have to be very self-motivated and enjoy working by yourself because a lot of the time you will be working alone. A knowledge and understanding of Māori culture and protocol is also useful. Rangers need to have excellent fitness and health as the job involves working outdoors in all kinds of weather and in challenging locations. Demand for rangers is expected to grow due to a government increase in conservation funding. There are often vacancies for Department of Conservation (DOC) ranger jobs, but competition can be strong. Your chances of securing a job are best if you apply for ones based in remote areas. You can improve your chances of securing a ranger job by volunteering for DOC or for council or community projects. Volunteering can lead to short or long-term contract work. Contract and volunteer work in the field is usually only available in summer. Studying online courses through DOC may also help your chances of getting a job. Fish and Game New Zealand. 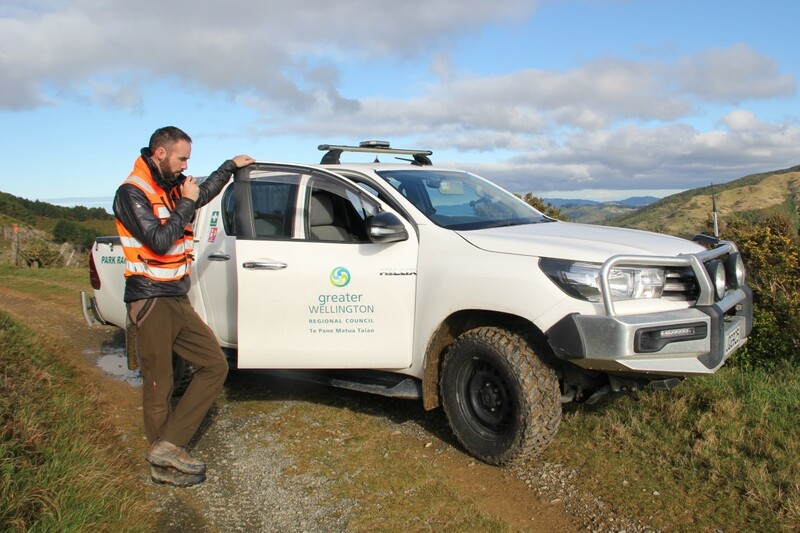 Boness, W, principal ranger, Greater Wellington Regional Council, careers.govt.nz interview, June 2018. Endres, B, conservation co-ordinator, Nelson Marlborough Institute of Technology, careers.govt.nz interview, June 2018. Fuller, N, human resources senior adviser, Department of Conservation, careers.govt.nz interview, March 2018. 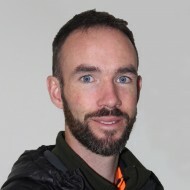 Kelleher, R, biodiversity manager, Auckland Council, careers.govt.nz interview, July 2018. Rangers may move into team leader or management roles. biodiversity, which involves looking after plants and animals.